Well fast forward to this year... there were some problems with the ring, which I fixed and then one day the setting broke clear off the ring. I was horrified to say the least and we agreed to a whole new ring. My customer was incredibly understanding and patient since during this time I had also gone back to work full-time and was not as available as I had been. 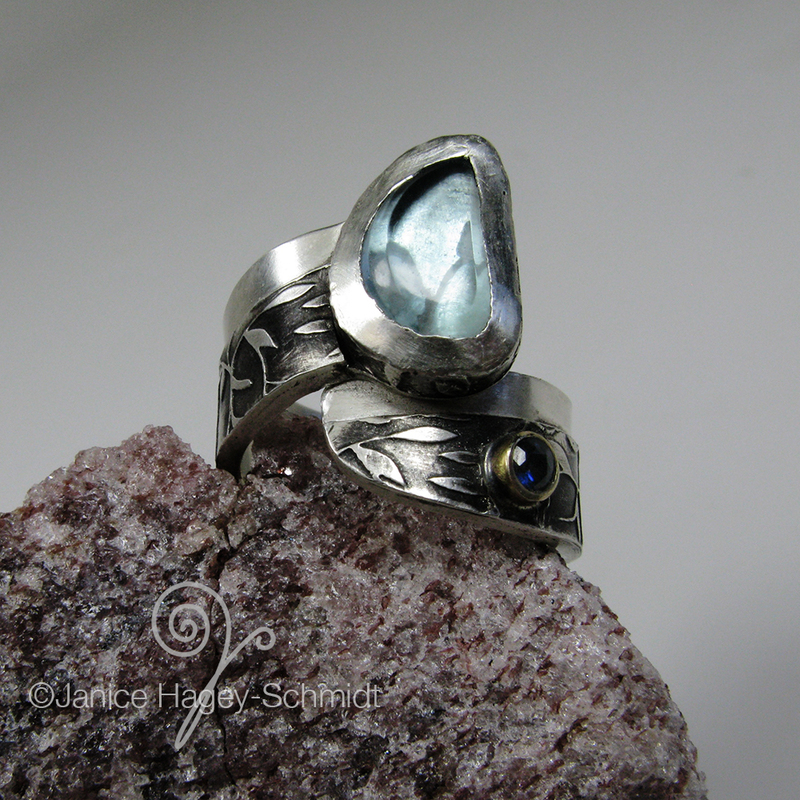 Her only requiremement for this new ring was to make it with a sapphire and topaz as we had done on the earlier design. I used the same rough topaz only this time it was the other half of the stone. In addition I had taken a stone cutting class this year, so I had a cool looking faceted stone that I created on the stone cutting grinders. 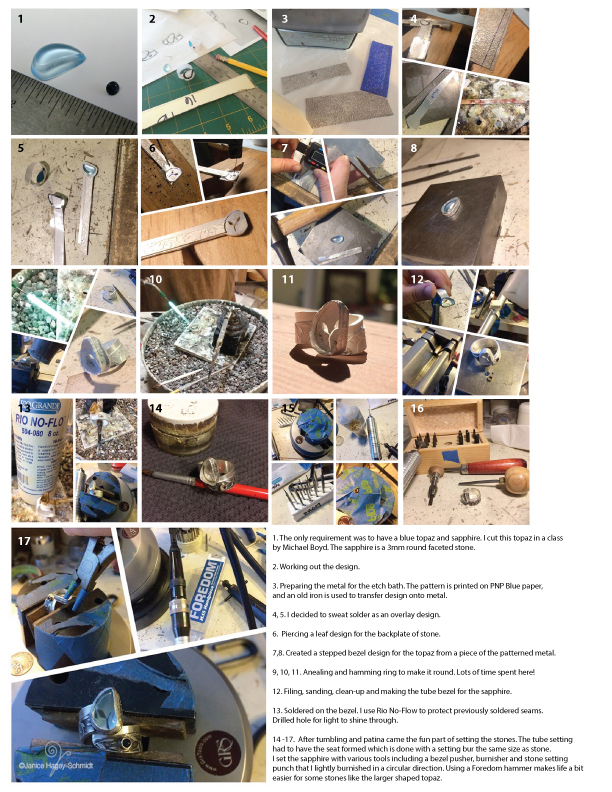 The following is a visual diary/tutorial which I had uploaded to Instagram as I made her new ring.